Are you ready for some monkey madness on Wizard? This online slot from Pragmatic Play will have you swinging around like you’re on their own once you’ve experienced the jumping jungle thrill of these 5 reels by 7 paylines slots. Spin the money ridden reels as you aim to win some serious cash amongst our mental monkey mates, be sure to feed them some bananas while you’re in there because you never know what might happen if you stay on their good side! Pragmatic Play amongst it again with their vibrant graphics and engaging themes, these guys just don’t let up when it comes to creating what the player really wants in new slot games. When they were founded in 2007 they set out to become a successful software provider for casino games, casino games with a unique feel and enchanting adventures. They’ve certainly done that now and continue to do it, there’s well thought out games then there are Pragmatic Play games, they work tirelessly on building themes that will fall into their style of coming across as slightly dated with a mystical appearance. Check out these slot games by Pragmatic Play. 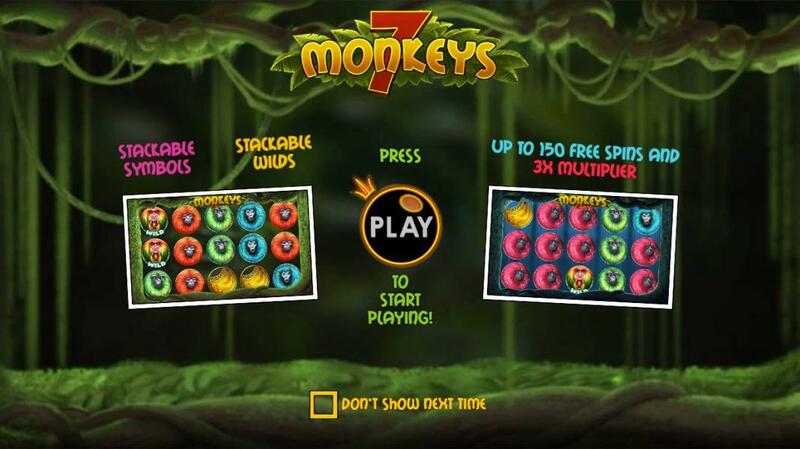 The gameplay itself possesses a fixed 7 paylines resembling the 7 monkeys. The minimum stake for this game is as little as 0.07, this reinforces Pragmatic Play’s idea of creating slot games for every time of players, not just the high rollers. If you are one of those players who like to get things up and running straight from the off then you can place a maximum stake of 5.00 per line, with a total of 35.00. We have compiled in our guide the top 20 UK slot games based on players' preferences under different categories. The symbols for the lowest values will gain you a minimum of 3x your original stake per each line when matching any of the trees in one line. This can be up to 20x your stake per each line for the three golden monkeys. The greater prizes that are five-of-a-kind payouts stretch from 15 to 150 x your stake on the regular icons. If you find a wild on each of the 5 reels this can result in 1,500 x your stake. There are seven different symbols in total, expect the payouts to arrive regularly, you will notice this when you aren’t placing as many stakes as you thought you would be! 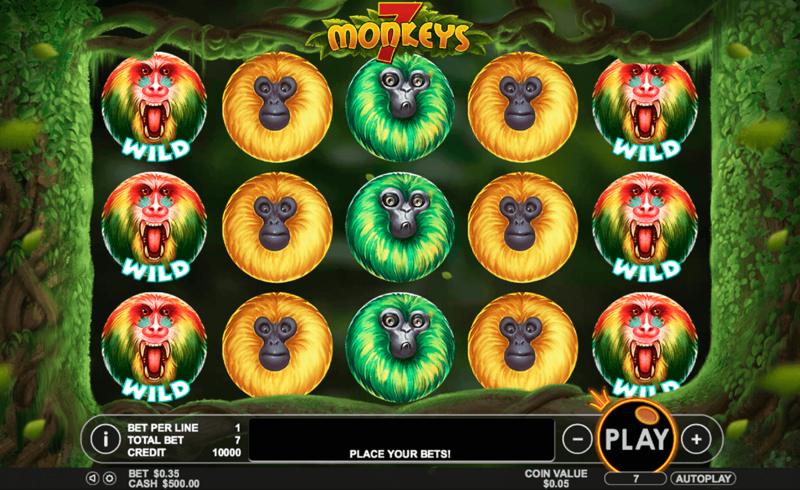 Keep an eye out for the scatter symbol which is a big bunch of bananas, all the regular symbols outline the monkeys with all the colours of the monkeys sporting a highly detailed presence in the game's appearance and it’s payouts. The Wild symbol is a rainbow coloured baboon, we’d say make sure you look out for it, but it's hard to miss, believe us. 7 Monkeys offers a bonus feature that always has the potential to be very rewarding for players. It’s a free spins feature, that gives you the chance to win up to 150 goes, with a 3x multiplier! Before you set off on your jungle experience, we’d like to remind you that this is the result of finding the scatter symbol on every reel, you can also activate the feature by landing three scatter symbols anywhere across the reels. This will give you 50 free spins but no multiplier. Land 4 scatter symbols and you’ll be awarded 100 free spins along with a 2x multiplier!